Here's some pics of a tsuba change I did a few years back. 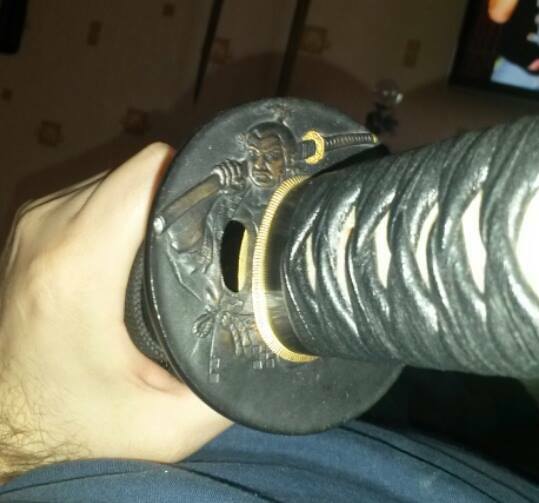 The sword is my old MM katana which I loved apart from the tsuba. 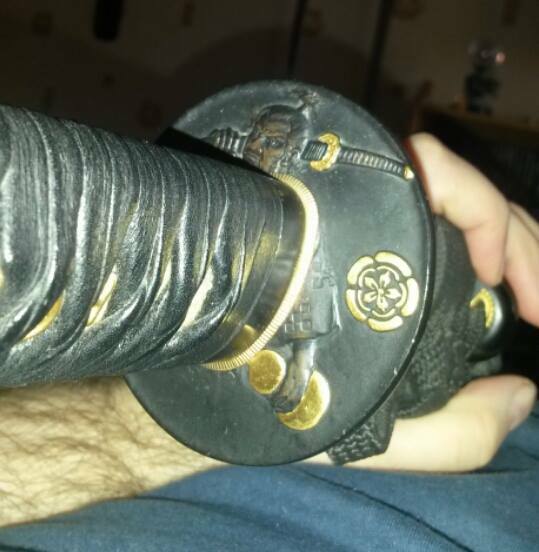 I think it looks great with the new tsuba fitted. Has anyone else here ever ventured down this road and customised their collection? I wouldn't have the guts to disassemble. Looks good I like it. It's easy really. I disassemble all my kats to make sure the tang is ok. This MM is the ony one that was hard to get the tsuka off. Also as the MM kat is so wide I had to file the tsuba down a bit to fit. I'm really satisfied with how it turned out. Next I'm looking at getting a contrasting sageo for it, ivory coloured perhaps.